Chemical flowmeters are used to measure the gallons or the litres that flow through them. We currently have two different varieties of chemical flowmeters. The FM300H/R or the FM300HL/R. Each one has a 1 inch conn. size and has a flow range of 2-20 GPM or 7 - 75 LPM. 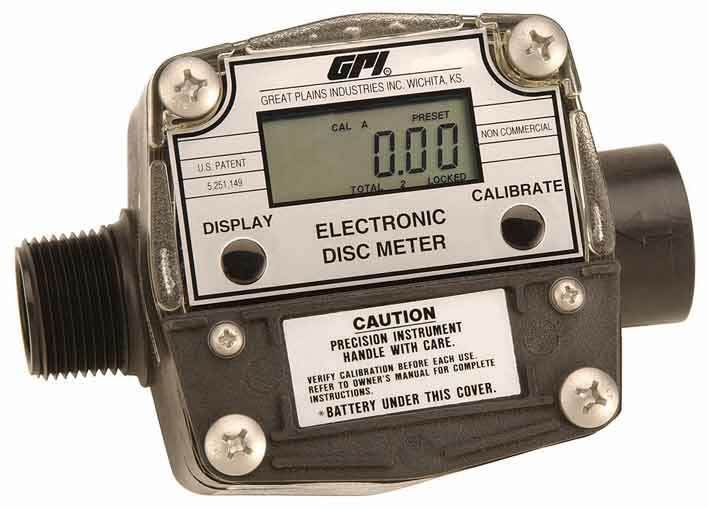 Because of GPI Meters' dedication to efficiency and accuracy, our chemical flowmeters are a great choice to use at your facility. We offer all types of flow meters from water flow meters to all your commercial flow meter needs we carry them all just for you and your business. Are you interested in finding out more about metering your facility's chemical usage? Get in touch with one of our representatives at (888) 722-3569 or contact us online!